Jonathan is a forensic accountant and partner in Marcum’s Philadelphia office within the firm’s Advisory Services division. He has almost 30 years of experience and specializes in conducting fraud and misconduct investigations, which include bribery and corruption matters, then assisting companies in conducting root cause analysis, then developing remedial procedures and designing, enhancing, or operationalizing governance, risk management, and compliance systems along with internal controls and policies and procedures to mitigate future potential issues. 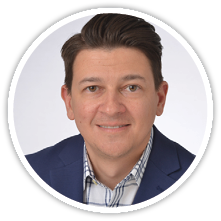 Jonathan combines his unique experiences in providing practical and timely advice to clients. He works closely with his clients, their board, senior management, and when appropriate their outside counsel on, complex accounting, disclosure, internal control, and compliance matters. Jonathan has collaborated with, educated, and advised some of the world’s largest companies in these and other areas. Prior to joining Marcum, he was a Managing Director and leader in the global disputes and investigations practice at a specialized, global professional services firm. Jonathan was also a partner and the national leader of fraud, ethics, and anti-corruption services and solutions at a Top 10 accounting and consulting firm. Jonathan began his career at Coopers & Lybrand. Stephanie has served on the board of directors for the organization since 2010. She presently serves as Vice Chair and serves on the governance committee. Stephanie’s passion for the organization stems from the cancer experiences in her own family., Stephanie is the Vice President of Legal Affairs and Risk Management for Resources for Human Development. A human services organization that serves individuals in 14 states and across over 160 programs. She has over 20 years of experience as an attorney and over 15 years of experience as a professor of business leadership and ethics. Stephanie and her husband Terry have been married for 31 years and are the proud parents of two adult children. Prior to retiring in 2017, Chris spent 30 years in retail management, including increasing levels of diverse responsibility across retail stores and corporate operations with iconic retailers such as Lord and Taylor, Macy’s, May Co. and Strawbridge and Clothier. Inspired by family circumstance, Chris joined the board of directors in 2012. Chris has served as the board secretary since 2015 and participates in Governance and Funds Development Committees. Fundraising efforts include Monte Carlo Night, Designer Bag Bingo and Kids Support Summer Day Camp. Chris lives in Bucks County with her husband and son. 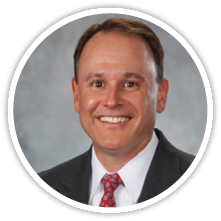 Dave Marcolla is serving his second term on the Board and is currently Vice Chair and leads our marketing strategy. He also heads up our annual Pints in the Park fundraiser. In his prior term he served as Associate Board Chair, Gala Co-Chair and served on the finance committee. He is passionate about the CSCGP mission, having had many family members battle cancer throughout his life. Dave is a licensed Realtor in PA & NJ for Keller Williams Real Estate of New Hope, Bucks County. 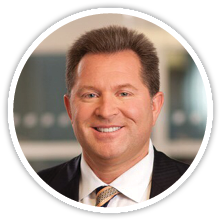 Prior to real estate, Dave’s career included leadership roles in Fortune 100 companies such as TD Bank, AT&T and most recently Comcast. He received his undergraduate degree in marketing from Bloomsburg and his MBA from La Salle. Dave resides with his partner of 14 years in Pennington, NJ. Bruce Braunewell has 30 years of public accounting experience and has served clients within the nonprofit community his entire professional career. Bruce is the Public Sector Group leader for the Philadelphia area offices of CLA, as also served as the national leader of CLA’s Social Service practice from 2002 to 2016. Bruce is a 1987 graduate of Gettysburg College and is a member of the American and Pennsylvania Institutes of Certified Public Accountants. Besides Pennsylvania, he holds a professional license to practice in New Jersey and New York. He is a frequent speaker on a variety of nonprofit topics including nonprofit tax, board governance, health care reform, uniform grant guidance, cost allocation, enterprise risk management, fraud, investments, and corporate compliance. Bruce has previously spoken at the CliftonLarsonAllen Annual Nonprofit and Health Care Conference, the Pennsylvania Council on Children, Youth and Family Services (PCCYFS) Annual Conference, the PICPA Annual Non-profit Conference, the Pennsylvania Association of Nonprofit Organizations (PANO), CAPLAW, the Alliance for Children and Families Roundtable, the Catholic Charities USA Annual Gathering, and the Girls Inc National Conference. He is a past-president, past treasurer, and a current trustee of the Rotary Club of Ambler and the Charitable Foundation of the Rotary Club of Ambler, Inc. Bruce is also the chairperson of the Merck FCU Scholarship Committee, which gives out scholarships annually to deserving high school students that are heavily involved in community service. He has also served as a coach for Horsham Hoops, Horsham Soccer Association and Horsham Little League. Bruce is serving his first term on the Board. He is currently our treasurer, and serves on both the Audit and the Finance committees. Bruce and his family (like many others) have been impacted greatly by cancer, and he joined the board to help advance the wonderful mission of CSCGP “so that no one has to face cancer alone”. Bruce is a Certified Public Accountant and a Principal with CliftonLarsonAllen (CLA) in Plymouth Meeting, PA. He has worked with CLA for 30 years, and is licensed in PA, NJ and NY. Bruce received his undergraduate degree in business (concentration in accounting) from Gettysburg College. Bruce resides with his wife Elizabeth (Liz) in Horsham, PA, and they have a son Stephen (25) and daughter Emily (22). Bruce also serves as a trustee for both the Rotary Club of Ambler and its Charitable Foundation, as well as the Merck FCU Scholarship Committee. 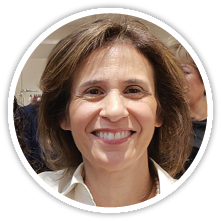 Having benefited profoundly from CSCGP’s transformative programs, Lisa Barsky joined the CSCGP Board in order to do all she could to help pay it forward. As a breast cancer survivor and a prostate cancer co-survivor, she feels a deep and enduring commitment to ensure that CSCGP will be there to provide services to those who follow in her and her husband’s footsteps. 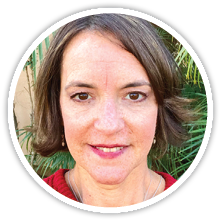 Certified in secondary education and school psychology, Lisa has worked as a classroom teacher, tutor, school psychologist, and learning specialist. She helped found Delaware Valley Friends School and currently works as a freelance writer/editor. Her special interest is in helping individuals develop more effective learning strategies. She has a BA (psychology) from Swarthmore as well as an MA (psychology) and MS (education) from Penn. Jeff has served on the CSCGP Board since October 2015. He has a special connection to the CSCGP community with cancer in his immediate family and among friends and family members. Jeff attends many day-to-day activities at Gilda’s Club in Warminster with his wife and volunteers at many of the on-going activities at Warminster and Ridgeland. 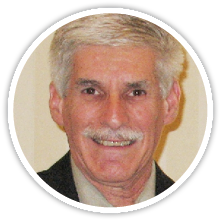 Jeff is currently an Adjunct Professor of Food Science and Food Safety at Delaware Valley University in Doylestown, PA, having graduated from there in 1971. After graduation, Jeff was employed for the next 45 years in the dairy and food industries, in increasingly responsible positions. Jeff currently resides in Richboro, PA with his wife of 48 years. He is the proud father of a married daughter and grandfather of an 11-year-old grandson. For more than three decades, Sharon Bozentka has continuously impacted her community through her philanthropic work. Ms. Bozentka co-owns Bozentka Oral & Maxillofacial Surgery in Bryn Mawr and Swarthmore, Pennsylvania where she manages the day-to-day operations, creates advertising campaigns and strategizes on long-term business development. She took this role in 2000 after serving as Vice President of National Sales for Clear Channel in New York City – one of the largest out-of-home advertising companies in the country. Her work earned her awards from the industry’s top publications, Advertising Age and Ad Week. Ms. Bozentka currently sits on the Women’s Auxiliary Board for St. Edmonds Home for Children, which provides care for children with intellectual and physical disabilities. In 2016, she chaired their momentous 100th year anniversary gala, raising more than $200,000. Additionally, she chaired the organization’s New Member Luncheon and organized volunteer recognition events. For the past 15 years, Ms. Bozentka has been involved with the Pennsylvania Ballet, chairing its Fall Gala and annual spring auction in addition to the notable Christmas fundraiser — Nutcracker Magic. In 2015, Ms. Bozentka co-chaired the committee charged with creating the program book for the Philadelphia Academy of Music’s 158th Anniversary Concert and Ball. Ms. Bozentka has also served on the board of directors for St. Aloysius Academy for Boys, chairing its Gala as well as chairing The Haverford School’s Gala. 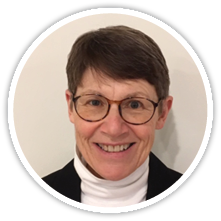 She has sat on various committees for Episcopal Academy and Notre Dame Academy in addition to her alma mater, Ursuline Academy. Ms. Bozentka continued to serve her community and run a business despite being diagnosed with Inflammatory Breast Cancer in 2012. For the past five years, she has guided and provided support to women going through a diagnosis via Living Beyond Breast Cancer’s Breast Cancer Helpline. Ms. Bozentka holds a BFA from the University of Rome and a BA in Art History from Rosemont College. She has been married for 32 years and enjoys traveling, raising her three children as well as her dogs and chickens. Since 2004, Lori has served as in-house counsel in the Greater Philadelphia area focusing on securities law and corporate finance in both publicly held and private-equity owned technology services companies. In her role, Lori advises executive management on securities issues, capital structure and corporate disclosures. She previously served as Chief of Staff and Chief Law Clerk for a Pennsylvania Supreme Court Justice. 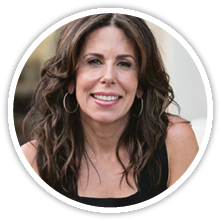 Lori was elected to the Board in December 2017 and resides in the suburbs of Philadelphia. Monique’s bio to come. Please visit back! 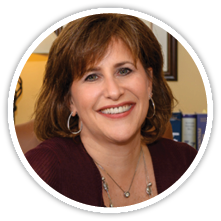 Pamela J. Ginsberg, Ph.D. is a licensed Psychologist in private practice specializing in women’s health and psycho-oncology. With over 26 years of experience, Dr. Ginsberg works with people with all cancers at all stages, with a special interest in working with women with metastatic breast cancer. She also works with women with a variety of other health challenges, life balance, grief and bereavement, stress management, decision-making, parenting, and relationship issues. Dr. Ginsberg is a staff psychologist at Doylestown Hospital, and has been a member of the Board of Directors for The Cancer Support Community of Greater Philadelphia for 9 years. She is the Chair of CSCGP’s medical advisory board. She is a member of the American Psychological Association, the Society for Health Psychology, the Pennsylvania Psychological Association, and the American Psycho-Oncology Society. 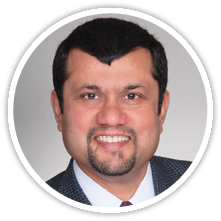 Chandra Kota is serving his first term on the CSCGP Board. He is passionate about support services for cancer patients as his day job is in Radiation Oncology making sure patients with cancer get the best possible treatments with available technologies. He is especially interested in figuring out how to use new technologies to better support patients. He lives in Exton PA with his wife, two daughters and a Bichon Frise. Marcie’s bio to come. Please visit back! Wendi Meyer has been a member for many years on the CSCGP Board. 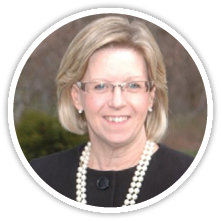 She has served in many roles at CSCGP, including development fundraising and has chaired the Golf Outing and Gala. Wendi believes in the CSCGP mission having had many close family members touched by cancer. Wendi first came to Gilda’s Club in Warminster over 16 years ago while her daughter was volunteering as part of her Bat Mitzvah project. She asked if she could help while waiting for Kelli and as they say the rest is history. 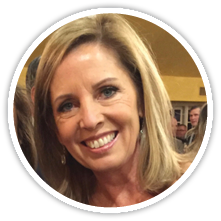 She has also served on the Board of Directors of the Meadowbrook School in Abington, PA.
Wendi is the Director of Events for Meyer – Chatfield in Newtown, PA. She currently splits her time between San Diego and Philadelphia with her husband Bennett. Karen first began volunteering for cancer support when the founders of Gilda’s Club in Bucks County asked her to join their board in 1999. 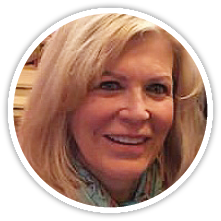 She has remained a passionate advocate through several transitions including the recent merger of the Wellness Community and Gilda’s Club Delaware Valley, forming CSCGP. She has worked diligently over the years on a variety of committees and events and has served two terms as Board Chairman and then Co-Chairman for two years after the recent merger. Presently she serves on the Governance Committee. After moving to Bucks County in 1989 she served as President of the Holicong Middle School PTO and then on the Central Bucks High School East’s Parent Council and the invitational Leadership Team for the District. She volunteered for 10 years chairing the annual Nursing Home Residents Christmas Party at her church. She also volunteered for many years for the Bucks County Designer House benefiting Doylestown Hospital. she and husband Richard are proud of their three grown children and three wonderful grandchildren. 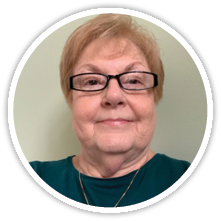 They reside in Furlong Pa.
Fueled by desire to give back to the organization who was so helpful to a family member, Susie Sargent joined the Cancer Support Community Greater Philadelphia’s Board of Directors in March 2014. As a member of the board Susie has lent her time and talent to Funds Development and Event Planning Committees. 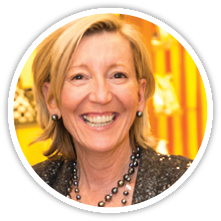 As a sales consultant for Fieldstone Marketing, Susie shares her expertise in sales, marketing and management with the retail gift industry. Susie represents the finest brands such as Elegant Baby, Tea Forte, and Jelly Cat to name a few. Additionally, Susie volunteers her time at St. Monica’s Church Women’s Society in Berwyn and the African Education Program in Wayne. Susie lives in Malvern with her husband and three daughters. Chair of Cancer Support Community of Philadelphia’s 2016 In Fashion event at Neiman Marcus. Serves on the Leadership Council of the Wistar Institute. Nicole has served on and chaired numerous committees benefitting organizations including JDRF, The Barnes Foundation, and ALS Association (among others). Worked as a licensed medical esthetician with advanced certifications in all facets of skin care and skin rejuvenation from 2004 through 2016. Built a practice over 12 years working for two medical practices to become one of the top medical estheticians in the Philadelphia area. Collaborated on and developed skincare protocols for surgical patients. Consulted for independent skin care practices. Lectured and demonstrated to individual groups and skin care professionals on skin care, rejuvenation, sun damage, skin cancer, laser treatments and chemical peels. Nicole is currently the Events Coordinator for SAVVY Main Line, an online news magazine focused on local issues and happenings. While practicing was a member of the SPSSCS- Society of Plastic Surgical Skin Care Specialists and US Medical Research. Ryan began his career in public relations with Kimball Hughes Public Relations as an intern in 2016. Now serving as a deputy public relations manager, Ryan helps support a range of client services in the insurance, real estate, non-profit, trade association, financial services and manufacturing industries, among others. 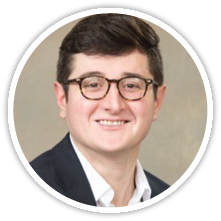 Working with Kimball Hughes Public Relations’ team of public relations managers, Ryan’s responsibilities include developing and curating content for social media, drafting effective press releases, assisting with media relations efforts and conducting research. Prior to joining Kimball Hughes Public Relations, Ryan worked for a home care agency where his primary role was expanding the company’s clientele. He did so by creating valuable content, organizing meetings with management and potential partners and promoting the business at events throughout the area. Ryan graduated from The Pennsylvania State University in 2015 with a bachelor’s degree in advertising and public relations. There he also served on the Public Relations Student Society of America’s THON/Philanthropy committee. THON is a student-run philanthropy committed to enhancing the lives of children and families impacted by childhood cancer. Their mission is to provide emotional and financial support, spread awareness and ensure funding for critical research — all in pursuit of a cure. 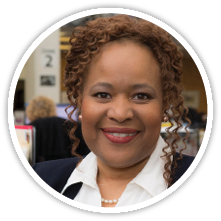 With over twenty-five years of management experience, Faith Williams continues to redefine her professional life. Faith has a broad range of experience, from managing optical laboratories, implementing innovative workforce development related projects and providing support and engagement for cancer patients throughout the eastern region. 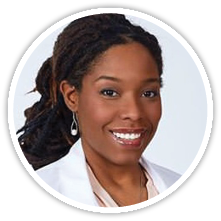 Currently, Faith is the Director of Regional Market Development at Cancer Treatment Centers of America (CTCA), an integrative cancer hospital that offers individualized treatment options and a whole-person approach. At CTCA, she is responsible for advertising, marketing and strategy for the Northeast region, while developing innovative programming for hospital and patient relations, including cancer support and risk reduction. Prior to coming to CTCA, She served eight years as Vice President of Programs at the Transitional Work Corporation (TWC), a national, independent, non-profit organization, which leverages its unique position as a partnership of state, municipal, government and philanthropic organizations to better serve the community. While at TWC, Faith was an executive on loan to the Fox Leadership program at the University of Pennsylvania and the Urban Affairs Coalition. In that role, she implemented the Campaign for Working Families (CWF), a program offering free financial education services to Philadelphia neighborhoods. Faith worked as the Director of the Partnership for Jobs and Housing, a program that moved hundreds of unemployed and low income residents from Philadelphia to local jobs in suburban communities. As Director of the City to Suburbs Commuting Project at the Urban Affairs Coalition, she worked with regional planning commissions, Transportation Management Associations (TMA’s) and Septa to provide regional connections to suburban employers. Faith currently serves on the CSCGP Board, Angel Flight East, and Bethlehem Baptist Church. 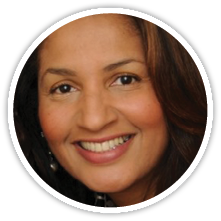 In addition, she is interim Board Chair and President of Assistance in Healthcare, Inc.
She holds a Bachelor’s degree in organizational development from Eastern University in St. David, Pa. Faith resides in Montgomery County, Pa with her husband, Otis Hightower and their Russian tortoise, Norm.